NEW DELHI: The Supreme Court on Thursday directed the Centre and Madhya Pradesh government to take steps within six months for safe disposal of the large quantity of toxic wastelying in and around the defunct Union Carbideplant, from which leak of poisonous gas in December 1984 had resulted in death of thousands and maiming of a lakh people.To ensure proper implementation of the relief and rehabilitation programme and regular health care facilities for the Bhopal gas leak victims, they ordered that all medical records of patients be computerised and health booklets and smart cards be issued to each victim. Terming the unattended toxic waste at the plant as hazardous to the health of people in Bhopal, a bench of Chief Justice S H Kapadia and Justices A K Patnaik and Swatanter Kumar said “it needs to be disposed of at the earliest and in a scientific manner”. “We direct the Union of India and the state of Madhya Pradesh to take immediate steps for disposal of the toxic waste laying in and around the Union Carbide factory, Bhopal, on the recommendations of the Empowered Monitoring Committee, Advisory Committee and the National Institute of Research in Environment Health (NIREH) within six months,” said Justice Kumar, who authored the judgment. “The disposal should be strictly in a scientific manner which may cause no further damage to human health and environment in Bhopal. We direct a collective meeting of these organizations to be held along with the secretary to the government of India and the chief secretary of the state of Madhya Pradesh within one month from today to finalize the entire scheme of disposal of the toxic waste,” the bench said. Private bodies and NGOs have estimated that around 27,000 tonnes of toxic waste is lying in and around the Carbide plant. They have expressed apprehension that this was responsible for gradual ground water contamination in nearby areas. The bench also ordered transfer of the 14-year-old PIL by NGO ‘Bhopal Gas Peedith Mahila Udyog Sangathan’ to Madhya Pradesh High Court for monitoring of proper implementation of the series of directions issued by the apex court on Thursday as well as on earlier occasions to alleviate the suffering of the victims and provide them proper medical help. It also dissolved the Bhopal Memorial Hospital Trust (BMHT), which was taken over by the Centre after former CJI A M Ahmadi resigned as its chairman. The Bhopal Memorial Hospital and Research Centre and the Trust were created on the direction of the apex court in 1988 for healthcare of gas victims. The trust, with a corpus of Rs 436.47 crore, will be dissolved and the money vested with the Union ministry of health and family welfare which will continue with the research work and provide healthcare to victims, the bench said. In another significant direction, it wanted the accounts of the trust to be audited afresh till July 2010 despite a private chartered accountant pointing to “no irregularity or objections”. The court said with passage of time, the figure of gas affected population had risen to 5 lakh. “With the passage of time this disaster has attained wider dimensions and greater concerns, which require discharge of higher responsibilities by all agencies. In terms of Article 21 of the Constitution, all the gas victims are entitled to greater extent of multi-dimensional healthcare, as their sufferings are in no way, directly or indirectly, attributable to them. 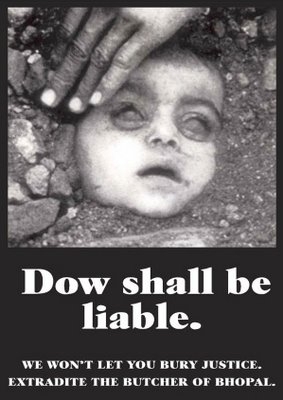 It was, primarily and undoubtedly, the negligence on the part of Union Carbide Ltd that resulted in leakage of the MIC gas, causing irreversible damage to the health of not only the persons affected but even the children who were still to be born,” the court said. The Bench directed the State government and the Monitoring Committee to evolve a methodology for a common referral system among the various medical units under the erstwhile BMHRC and the Bhopal Gas Tragedy Relief and Rehabilitation Department to ensure that the victims “are referred to appropriate centres for proper diagnosis and treatment…” The Monitoring Committee shall issue a standardised protocol for treating each category of ailment.